Free No Obligation Consultations Available! help. Call us today to get your home back in order. their homes after water or storm damage. restoration or other cleaning services you need. Question? Click to Dial 24HRS a Day! 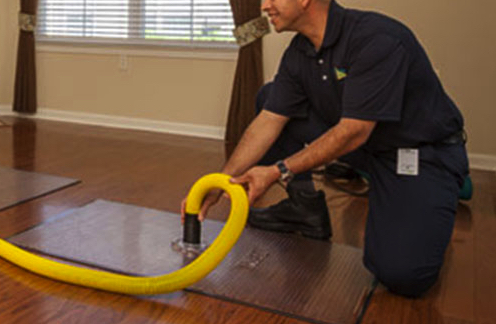 At ServiceMaster By Johnson, we provide the best in Folsom water damage restoration services. We’ll work in your home or business to correct issues that result when moisture or water builds up. 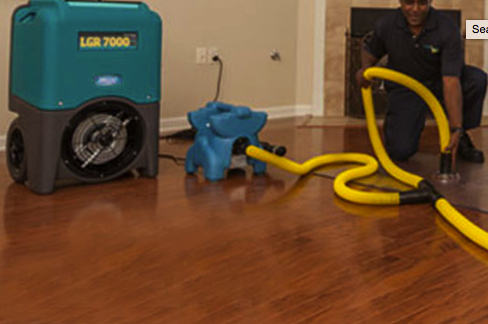 Water damage Folsom will usually require immediate service and our crew is able to arrive promptly to start the water removal process as soon as possible. Most property owners are not familiar with the essential things needed when there is flood damage and have a lot of questions. That’s where the water damage company comes in. They are experienced on how to remove excess flood water completely, to make sure evaporation occurs and to establish the dehumidification needed to stop further damage. Moreover, they can document the return of your property and contents to normal conditions to ensure that future problems will not be experienced. Time is critical when you have flooding your home. Whether it is a broken, leaky or frozen pipe, a toilet or sink overflow, a slab leak, refrigerator, dishwasher or washing machine, or flooded attic or crawlspace due to storms, we will find the source, stop the flooding, provide full extraction, water cleanup and structural drying, and then full water damage repair and rebuild. If you need water damage restoration in Folsom, contact us now! We also provide Folsom sewage damage cleanup and sewage removal services. Raw sewage is difficult to mitigate, extremely dangerous and contains high amounts of harmful bacteria. Only trained professionals should handle sewage cleanup. Coming in contact with raw sewage can cause disease and severe damage to your property and valuables. In addition to being there when you need us most, our knowledgeable technicians can also educate you on what you should do and not do to keep the flood or sewage damage as minimal as possible. If your home or business has experienced damage from water or sewage, don’t wait to get in touch with us. We have 24/7 emergency service and our team is standing by to help. If you have flood damage in Folsom, we suggest you take the following steps to help eliminate more severe structural damage or the development of mold. Remove furniture from the affected area. Give us a call for emergency water damage cleanup! Turn on ceiling fixtures if ceiling is wet; make sure you keep out of rooms where ceilings are sagging from retained water. 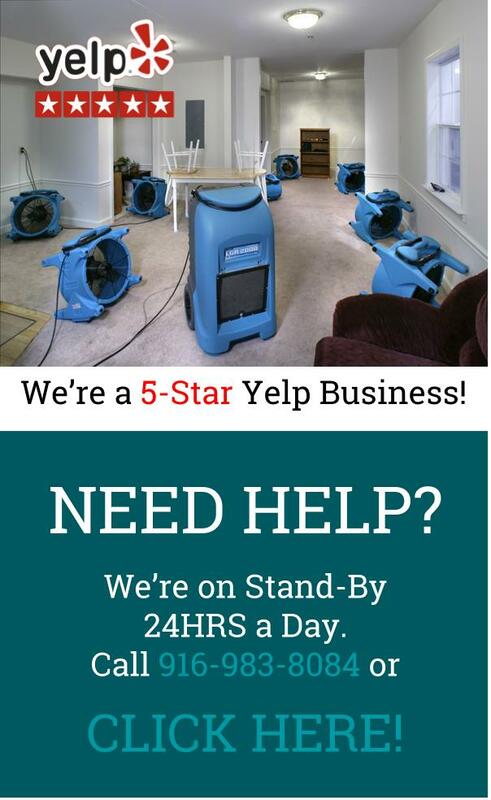 Call Us 24/7 At 916-983-8084 for water damage cleanup! If your home has suffered the effects of water damage, work with a company that you can rely on for exceptional service. We provide you with the clean that you expect and the service that you deserve. Don’t hesitate any longer. Contact us at 916-983-8084 to request a free consultation. 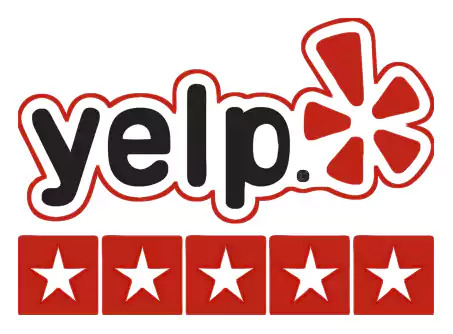 ServiceMaster By Johnson is located at 2795 E Bidwell St #100, Folsom,CA 95630 and we can be reached at 916-983-8084. Click to Dial: 916-983-8084 – Available 24HRS a Day! © 2019 ServiceMaster by Johnson. All Rights Reserved.